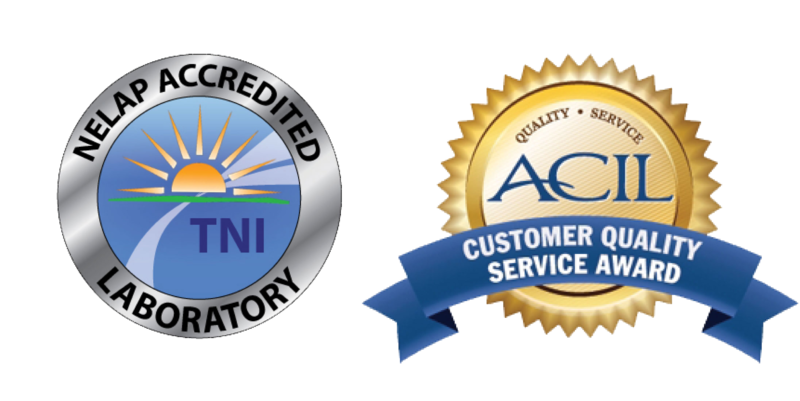 ACZ Laboratories, Inc. has a long standing reputation as one of the top laboratories in the United States for low-level metals analysis. ACZ is one of the few commercial labs in the country to run EPA 200.8 & 6020 ICP-MS Metals in a class 100 cleanroom. The combination of ICP-MS and the class 100 cleanroom offers major advantages over trace ICP and GFAA analyses. ICP-MS produces higher quality data because it is less susceptible to matrix interferences and it provides lower detection limits, giving greater confidence in data that is near regulatory limits. ACZ’s Agilent 7500CE and 7900X instruments use a second generation Octopole Reaction System (ORS) to eliminate polyatomic interferences. Prepping and analyzing samples in the cleanroom greatly reduces the possibility of laboratory contamination. ACZ was one of the first laboratories in the nation to purchase an ICP-MS in 1991. With over twenty-five years of ICP-MS experience, multiple instruments and all prep and analysis being conducted in a cleanroom, our clients are assured of the most accurate low-level metals data available. ACZ has the experienced staff, class 100 cleanroom and instrumentation to produce highest quality, defensible data, regardless of the sample matrix.